The TV had many flashbacks this weekend of late August 2005 when Hurricane Katrina struck the Gulf coast of the United States. New Orleans and coastal Mississippi were hit particularly hard. The town of Bay St. Louis, Mississippi was battered by a 30 foot surge leveling beachfront neighborhoods. It was in one of these neighborhoods that Nikki Moon, innkeeper of the Bay Town Inn, resided with her Scottie Maddie. With the inn collapsing around her, Nikki, Maddie and two others escaped to a nearby oak tree. 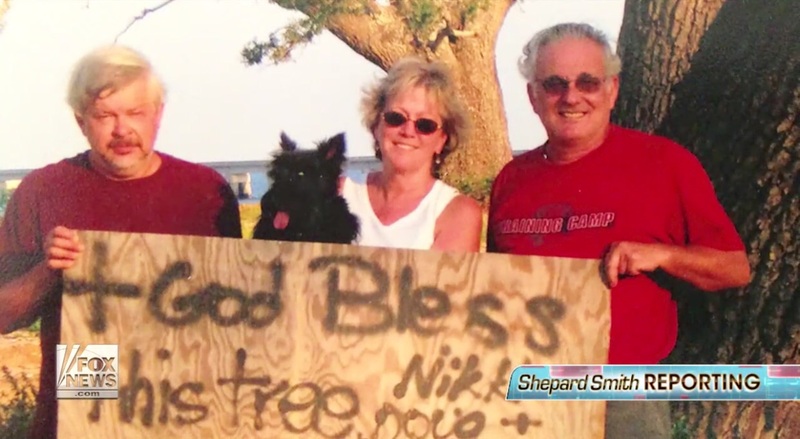 For several hours, while the storm raged around them, Nikki with Maddie tucked under her along with the others, clung to what is now known as the Angel Tree. Niki rebuilt the Bay Town Inn; once again terriers are in residence but the old oak died so a local artist carved it into angels. It stands across from the inn, a sentinel on the shore. I have not heard this story before–how inspirational ! Isn’t it a great story! Yes, love the tree. Yes, I did. Such a traumatic and dramatic event! Thanks for sharing. Thanks for the wonderful story. Having lived through 3 hurricane( none as bad as having to be in a tree), I can appreciate this story. Is Maddie still alive? 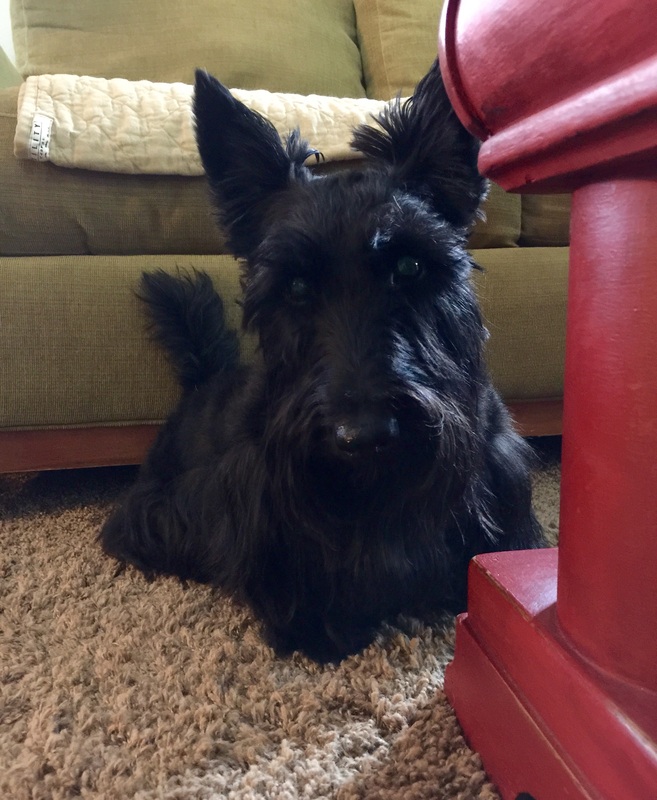 The lady does have a black Scottie currently on her site but I think Maddie has since crossed the bridge and this is another. I think her name might be Stella. Trees go to the bridge? Beautiful story. Shows the strength of the Scotties! A wonderful story of courage. This is the first time I am hearing about this truly amazing story. The courage and determination of those people that day is so remarkable. This is a story the world needs to hear about. Thank you for sharing it. 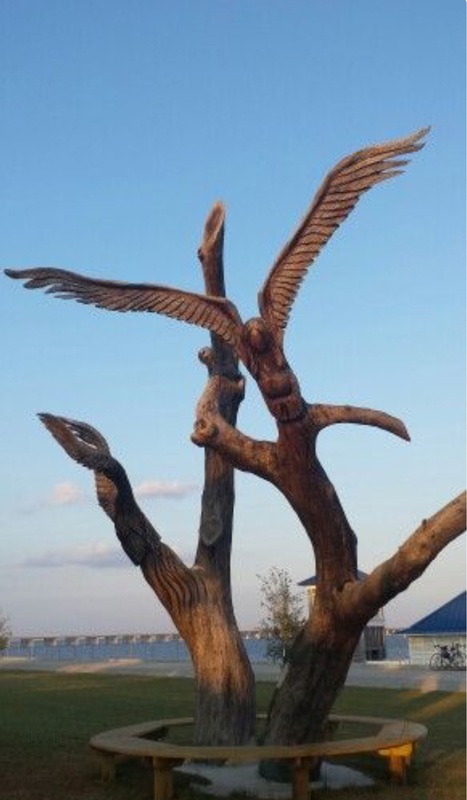 And bless the artist who created a beautiful tribute from the tree for those who survived a life changing experience. Mom said the same thing. We just knows our MomandDad would hang out in a tree wif us too if it ever came to that. Happy none perished in the bad storm. Mom posted the video on her FB page a minute ago….hope it’s there.